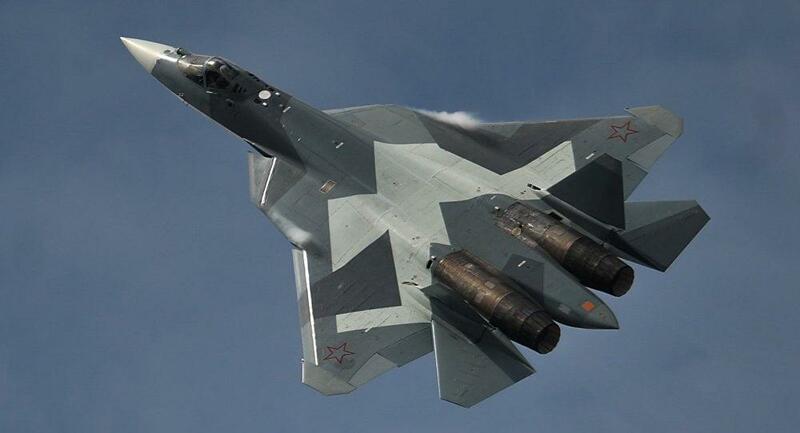 The fifth-generation fighter will be supplied to the Russia Air Force in 2018-2019 as a replacement for the Su-27 Flanker, developed in the final decades of the Soviet Union. Mikhail Strelets, the head developer at the Sukhoi United Aircraft Corporation, explained the key strong points of the cutting edge fifth generation Su-57 jet in comparison to its Western rivals, the F-22 and F-35 in an interview with the Zverzda TV channel. According to him, the F-22 lacks the capability to strike ground targets as opposed to the Su-57. Strelets explained that the F-22 was initially designed as an air superiority jet, while the Su-57 was created as a more versatile aircraft from the beginning. As a result, internal compartments of the F-22 were unable to hold munitions with significant payloads. When comparing the F-35 and Su-57 aircraft, Sukhoi’s chief developer stressed the increased manoeuvrability and acceleration of the latter. He also noted that both the F-22 and F-35 are less versatile in terms of fulfilling various combat tasks than the Russian plane. The creation of a fifth-generation jet with stealth technology, the Su-57, began in early 2001 and it is planned to be commissioned in 2019, while models with advanced engines are scheduled to arrive by 2025. The Russian Air Force is planning to acquire the first batch of 12 jets in 2019. Can Chief Gallagher get a fair trial in Navy SEAL war crime case?